Where people live, the quality of their housing, the places in and around the home where children play, and the type of land homes are built on can have profound and lasting impacts on health. Housing options that serve the needs of all of your residents help create neighborhoods that are vibrant, promote social cohesion and encourage bicycling and walking for recreation and transportation. 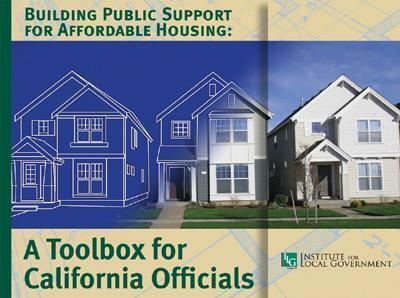 The resources in this section provide strategies to support healthy homes in your community, which vary in design and affordability. Healthy homes in turn support in healthy neighborhoods. These case stories highlight examples of integrating housing options in healthy neighborhoods. Each story includes lessons learned, links to additional resources and can serve as examples other agencies may consider and adapt to meet their communities’ unique circumstances. 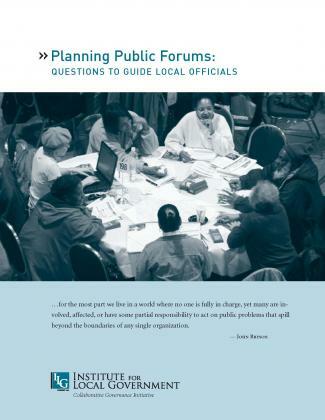 This publication provides practical steps to help local agencies build their capacity to use public forums effectively.